When you sign up for the swap you vote for designers you’d like to see included. Participants will be split into 8 groups of 7 people, and each group will be assigned a designer. You get two yards of different fabrics by that designer, and cut each into 56 charm squares. Collate them AB, AB, AB, etc. and send them in! Get back charm squares representing 14 fabrics each by 8 different designers. This sounds like a win-win scenario to me. I’ve got my fingers crossed for Lizzy House, Riley Blake or Denyse Schmidt, though I’m also looking forward to discovering new designers! This past week, we had posts on July 31st from Audrey, of Hot Pink Quilts and M-R from Quilt Matters. On August 2nd, there were posts by Jennifer, of GH Quilting and Danny, of MommyFor Reals. This week, we can look forward to posts on August 7 from Liz of What I Did On My Summer Vacation and Susan, of Canadian Abroad. On August 9, we get posts from Kirsten of Gemini Stitches and Stephanie of Sewing By Stephanie. 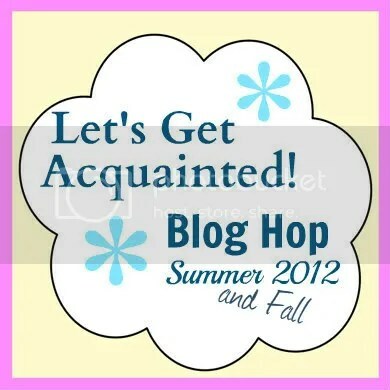 This blog hop is a ton of fun, and a great way to meet new people, find awesome projects and get a ton of inspiration. Drop by their blogs and see what they’re up to! Even better, leave a comment — if they’re anything like me, it’ll make them happy. Previous Previous post: Mabel Messenger Bag: Done!